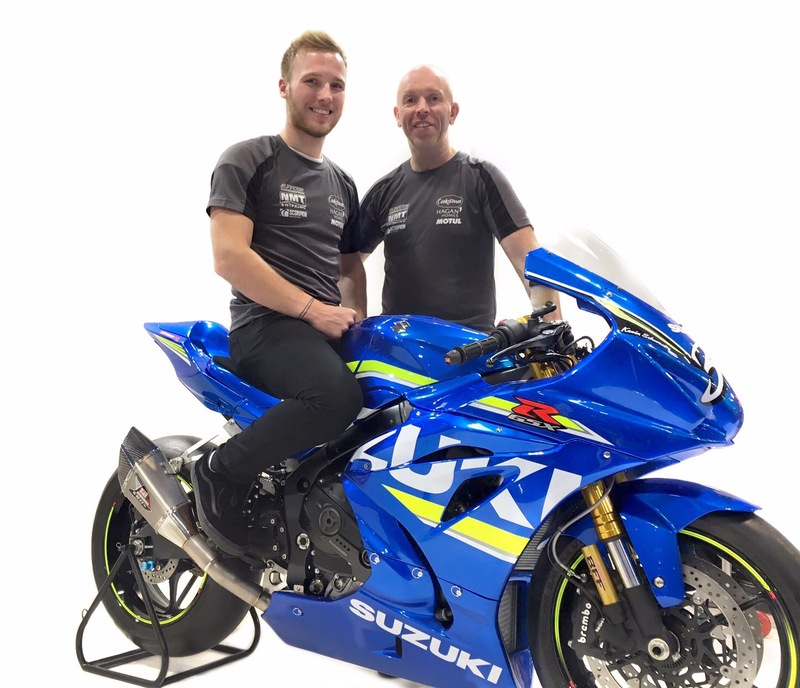 Dubliner Derek Sheils will ride for the John Burrows owned team for a third straight year while joining him in the fold will be rising star Davey Todd from Saltburn, near Middlesbrough, who in 2016 was a race winner in British Superstock 600. 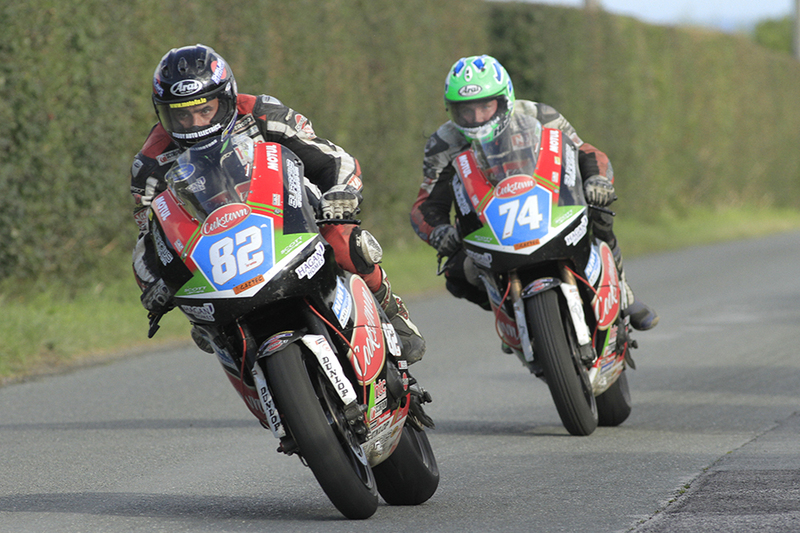 Todd burst onto the road racing scene last year with top five results at Skerries before going to Armoy and shocking the establishment with a second place in one of the Supersport races behind Derek McGee before taking his 600cc machine to a superb third in the Superbike race behind Michael Dunlop and McGee, beating William Dunlop in the process. The Tyrone based team have Suzuki support for 2018 and Todd will ride one of the latest generation GSXR 1000 machines in the Superbike and Superstock classes as well as having machinery for the Supersport and Supertwins divisions. The 22-year-old from the North East of England will compete in all the Irish National meetings while on the International scene he will debut at the North West 200 and TT events and make a second appearance at the Ulster GP. Sheils will not appear for Cookstown Burrows Engineering Racing at the International meetings but will have full support as he attempts to regain the Irish Superbike crown for the team on a Suzuki GSXR 1000. John Burrows gave his thoughts about next season: "I'm delighted to have Derek Sheils riding for me again. Unfortunately I won't have his services at the International meetings but he will be with us for the Irish National series and we are both fully committed to getting the number one plate back on the front of the Cookstown Burrows Engineering Suzuki GSXR 1000 on which he has had so many successes over the past two years. "Davey Todd first caught my eye at Skerries and then his talent stood out a mile at Armoy. He rode for us at Killalane where a slow speed crash ruled him out of a top three Superbike finish and the weather robbed him of the chance to shine in the Supertwins race after impressive practice times but he had done more than enough to make me want him to join the team for 2018. "We are a proven team when it come to nurturing talent and I'm excited to have the chance to bring new blood through to the top level of road racing. We have done it before with the likes of Dan Kneen and we will try to make Davey just as successful but without putting undue pressure on him. "I'm confident we will have another great year with Derek and Davey in the saddles and increased involvement from Suzuki as well as continued support from Cookstown." An enthusiastic Todd said: "This is the opportunity I have been waiting for and I'm very grateful to John Burrows and his team for giving me this shot! I know I'm joining a very professional team with proven competitive machinery so I'm very excited about my prospects for next season. "In the Irish National Championship, I believe with the backing I'll have I can be at the front on a regular basis in the Superbike, 600 and Supertwins classes. On the International front, I'll be a newcomer to the TT and NW200 but I'm preparing hard for those events and when I get to them I'll aim to make progress quickly but stay safe. I feel I can be competitive at the Ulster where last year I lapped at over 125 mph on a 600 machine and was in contention for top six Supersport results until bad luck intervened." 2016 Irish Champion Sheils said: "I'm happy to have signed with Cookstown Burrows Engineering Racing for another Irish National campaign as I've gelled well with the team over the past couple of years and we all get on and work well together. My aim will simply be to win as many races as possible on the big Suzuki and if I keep doing that the Superbike Championship will look after itself."